Audio For Drinking: "You drop the first ten years just as fast as you can"
"You drop the first ten years just as fast as you can"
If you haven't figured out from the previous post, I'll be posting these things in the order they appear on the mix I made. That should explain why on the second day of this endeavor we already have a track from my favorite album of the year. LCD Soundsystem's Sound of Silver was a huge jump forward from the already enjoyable self-titled 2005 debut. 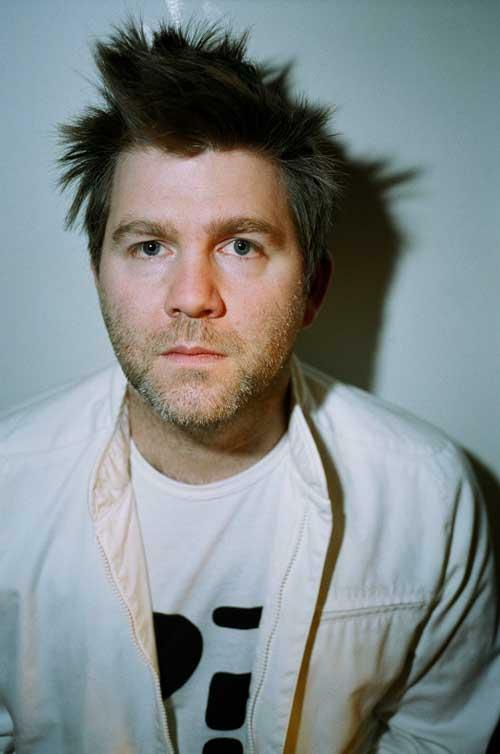 The leaps and bounds primarily took place in the vocal and lyrical output of the self-conscious, Brooklyn-based producer-artist, James Murphy. But first, let's briefly recognize what's still working in regards to the previous seeds planted by the danceable-punk master of the musical homage. The musical queues once again draw upon a man with an expansive record collection and an unquestionable knowledge in regards to it's contents. There's such an overwhelming love of New Order, Eno and Bowie in this offering, it wasn't entirely surprising that when Franz Ferdinand re-recorded "All My Friends," the comparisons went from obvious to blatant (download or watch it and at the 23 second mark enjoy the liberal re-imagining of an "Age of Consent" riff). But whereas many critics, always quick to try and be the first to pan a hyped musician, pinned the album as a grouchy, soulless retread, I really sensed growth. What really made this album stand out was the recurring theme, intended or not, that emerges from Murphy's song-writing. That theme as much as I interpreted it, was the uneasy challenges of growing old and subsequently the double-edged sword of rewards and frustrations to be had of passions and identifiers that can grow with and away from you. The songs lend a voice to the man, saying something more than "I own a lot of records." Fame, friends, nightclub scenes are treated with truer wit rather the silly humor of the first album and the result is far more compelling. One of my bigger regrets this year will have been turning down a free ticket to see LCD Soundsystem open for Arcade Fire at Red Rocks because I was so damned exhausted from Monolith the two days prior. I guess I'm finally struggling in regards to what I used to be able to pull off and the compromises I so easily make now. LCD Soundsystem - download "All My Friends"
Franz Ferdinand - download "All My Friends"